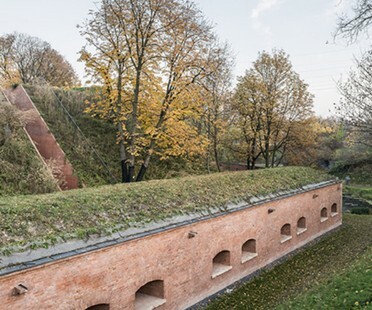 The memorial to the victims of the massacre in Katyn forest designed by BBGK Architekci in Warsaw is one of the five finalists shortlisted for the EU Mies Award 2017. This week, our virtual voyage of discovery of the five finalists for the 2017 EU Mies Award takes us to Rivesaltes, in France, where architect Rudy Ricciotti designed the Memorial Museum. 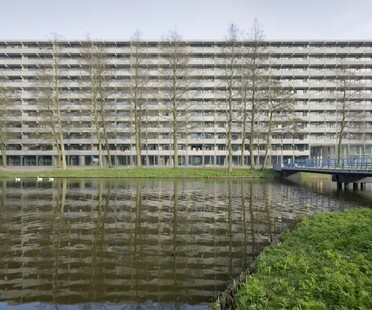 NL Architects and XVW architectuur’s renovation of the deFlat Kleiburg housing complex is one of five finalists for the European Union prize for Contemporary Architecture. DUS Architects is a Dutch studio famous for experimenting with 3D printing and social architecture. 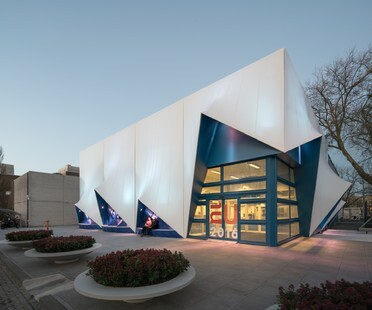 Now they have printed a façade out of recyclable bioplastic for the Netherlands’ European Union Presidency. 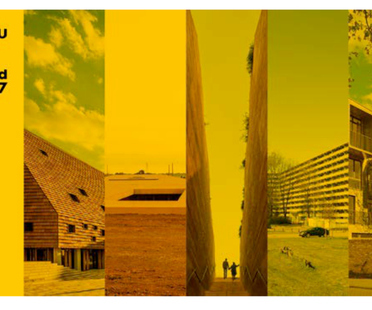 Ordinary yet heroic buildings, is how Stephen Bates describes the five finalists for the 2017 European Union Mies van der Rohe Prize for Contemporary Architecture. 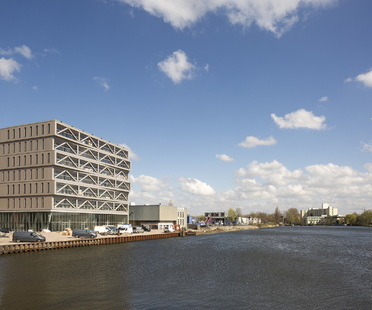 FRANTZEN et al have designed PATCH22, the tallest wooden apartment building in the Netherlands.